Gulf Shores AL condominium home for sale at Sailboat Bay. 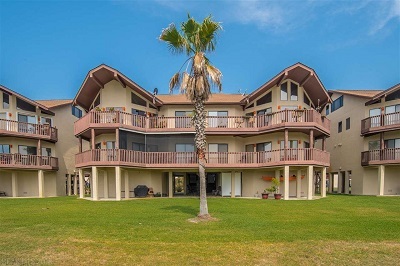 2BR/2BA Unit w/ huge price reduction!! Boaters paradise, gated community and one of the most beautiful settings in Gulf Shores. Secure gated community built around a marina. This unit comes with assigned boat slip #90 with lift. Screened in approximately 400 square feet balcony with a fantastic view of the marina, and ICW. Community has it all saltwater pools, tennis counts, club house, boat ramp, boat storage area, fitness center, indoor pool, hot tub and some of the best inshore fishing in the area. From your boat, you can quickly access Bon Secour Bay, Mobile Bay, ICW and Bon Secour River. From your car, you are minutes from beaches, restaurants and the OWA amusement park. Two covered parking spaces and a 5x8 storage room. Come on out and take a look!